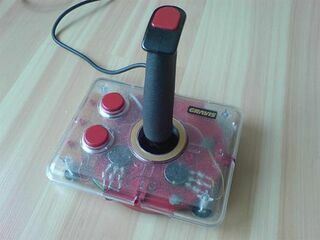 The Advanced Gravis Switch Joystick is a joystick made by Gravis in 1990 which is compatible with the Sega Master System. A black version of the joystick was designed primarily for the IBM PC, while a clear version was designed for the Master System. Both controllers are fundamentally the same as both systems relied on DE-9 ports.